Addictive Games For Android – Today millions of people are using an android phone. Today android device play the main part of our life. 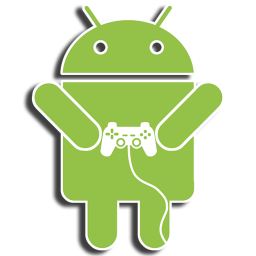 We all love to play games on an Android device. There are many cool & addictive games that are today available for your Android device in the Google Play Store. So today in this post we’ll provide you a list of Top 5 most addictive Android games the games that you’ll never stop playing in your free time. Clash of Clans is the one of the most popular cool Android Multiplayer game. This games the spiritual successor to RTS games like Age of Empires. This game requires lots of endurance. And in this, you can make your own clan of your friend and can play this game online. This is the most addictive game of this year and many of you must be playing this game in your android device. In this game, you have to finish the levels and you then move to the next level at completing every. In Candy Crush Saga user has to complete the required mission of canceling out the candies with different color combinations in it. This is another cool game in which your avatar has to run the trains and different hurdles to protect it from being caught by the policeman and the dog running behind him. It is a very addictive game in which you have to break the records of your Facebook friends. The one of the coolest game that every android user must install in your android device. His gameplay is addicting, the graphics are simply unmatched and are even better on NVIDIA-powered devices with lifelike physics, extraordinary detail and active lighting in it. This is one of the best game & my favorite game and most liked by the car racing game lovers. Because the graphics quality of this game is very awesome. This is real a car racing game which supports multiplayer in it. You can play Asphalt 8 online with your friends. So above is all about Top 5 addictive games for Android. Hope you like this post so please don’t forget to share it with others.